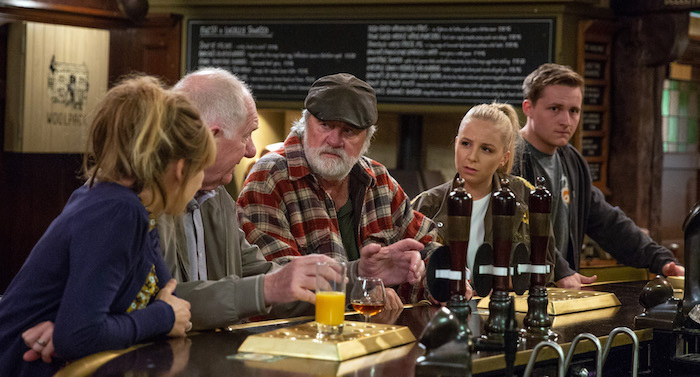 EMMERDALE EPISODES: Its a big week for Charity Dingle as she prepares to introduce her son Ryan to the rest of the Dingle clan – she wasn’t banking on him meeting his father DI Bails first though. 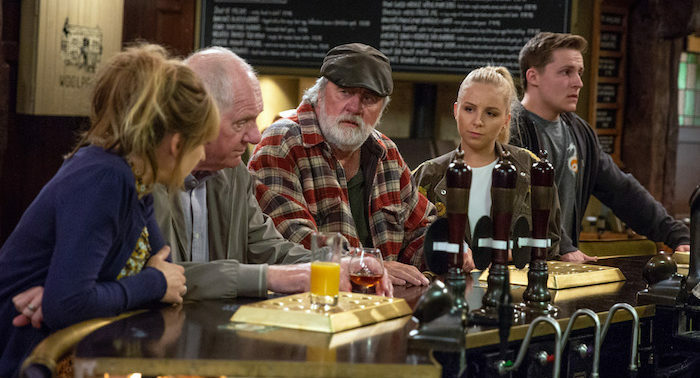 Rodney Blackstock takes ill during a family row, Daz Spencer faces court and the single life, while Pete Barton is accused of cheating by Tracy and Vanessa. 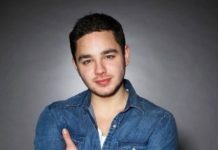 Rishi Sharma has a dating disaster, Joe Tate makes plans for the future, and Lachlan White is horrified by Doug’s news. 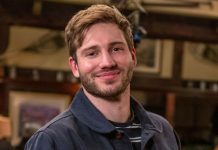 Mon 27 Aug 2018: Ryan Stocks is delighted when Charity Dingle introduces him to Moses. Mon 27 Aug 2018: Moses seems to like his new big brother Ryan just as much as mommy Charity likes Vanessa. 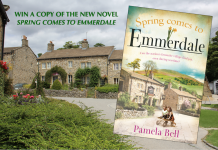 Mon 27 Aug 2018: Jimmy and Nicola King joins Bernice Blackstock in trying to make Rodney stay in Emmerdale. Mon 27 Aug 2018: As the family are rowing, Rodney Blackstock collapses. Mon 27 Aug 2018: Nicola King calls for an ambulance as Bernice tends to Rodney Blackstock. 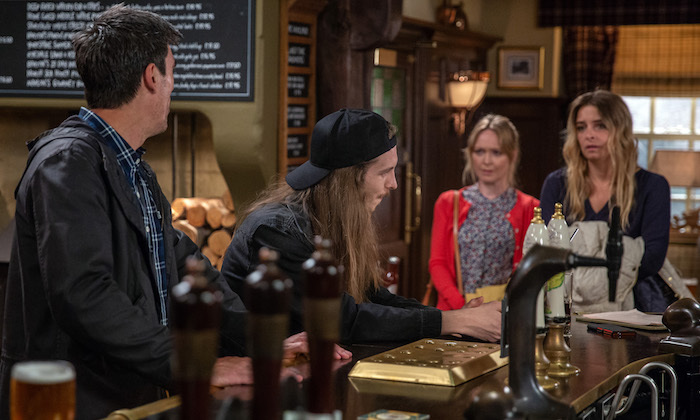 Mon 27 Aug 2018: Sure Pete Barton’s up to no good, Tracy Metcalfe tries to convince Vanessa Woodfield that Pete is cheating on Rhona Goskirk. 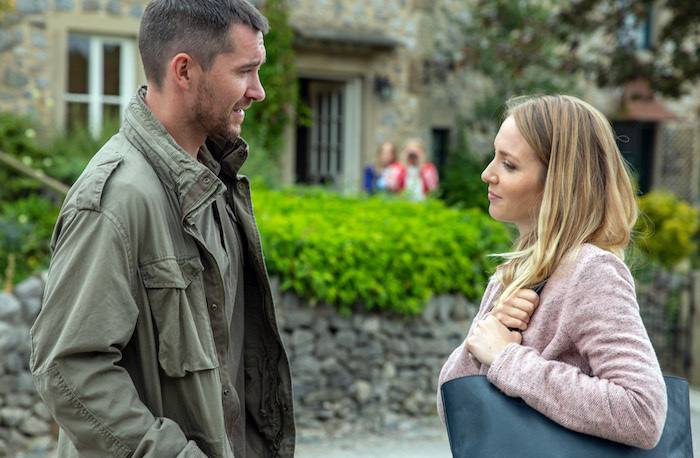 Mon 27 Aug 2018: With both Tracy Metcalfe and Vanessa Woodfield having been cheated on, can they see the signs? 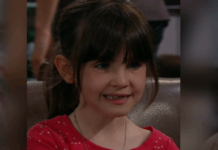 Mon 27 Aug 2018: Is Tracy Metcalfe measuring Pete Barton by her ex’s standards or are her concerns justified? 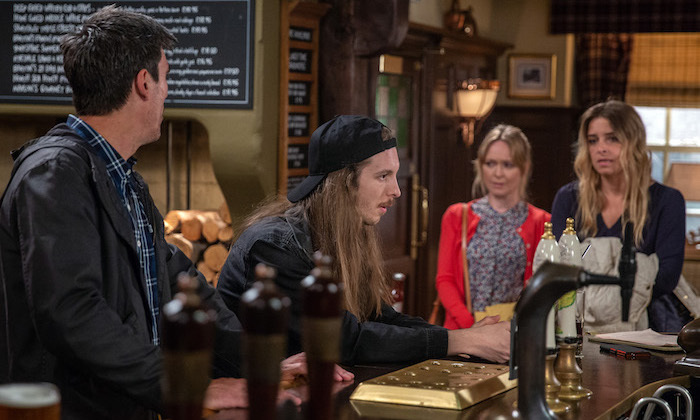 Tues 28 Aug 2018: Tracy Metcalfe and Vanessa Woodfield’s suspicions are confirmed when they spot Pete Barton ushering an attractive woman into Dale View. Tues 28 Aug 2018: With the proof they need, Tracy Metcalfe and Vanessa Woodfield are quick to report the matter to Rhona. 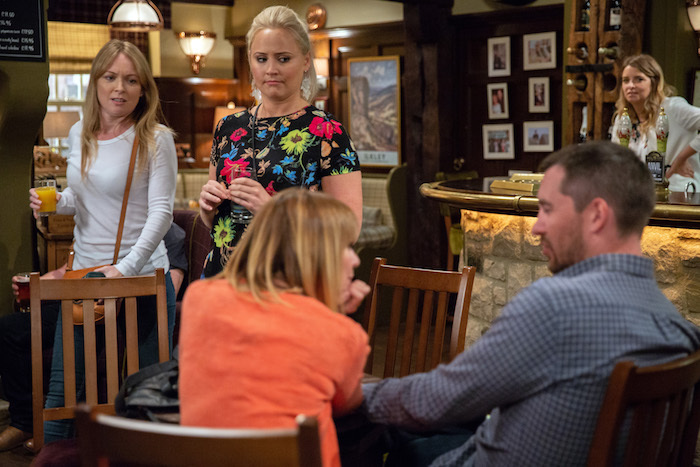 Wed 29 Aug 2018: At Irene’s house, Charity Dingle and Vanessa Woodfield burst in to find Ryan talking to Bails. Wed 29 Aug 2018: Charity Dingle struggles to contain her emotions as she confronts Bails, who insists he just wants to talk to Ryan. 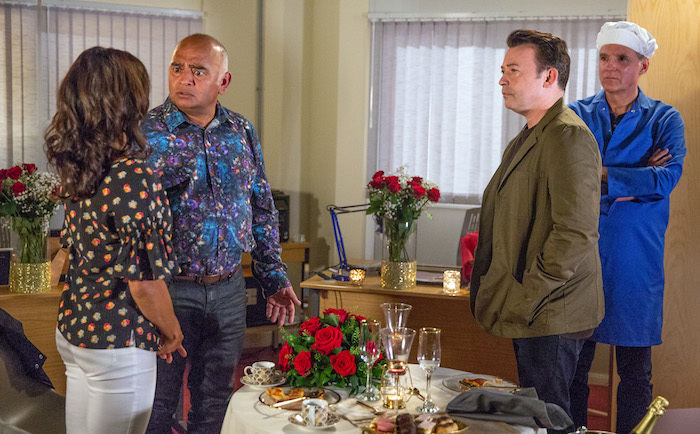 Wed 29 Aug 2018: What is DI Bails at Irene’s house for and will he scupper the court case? 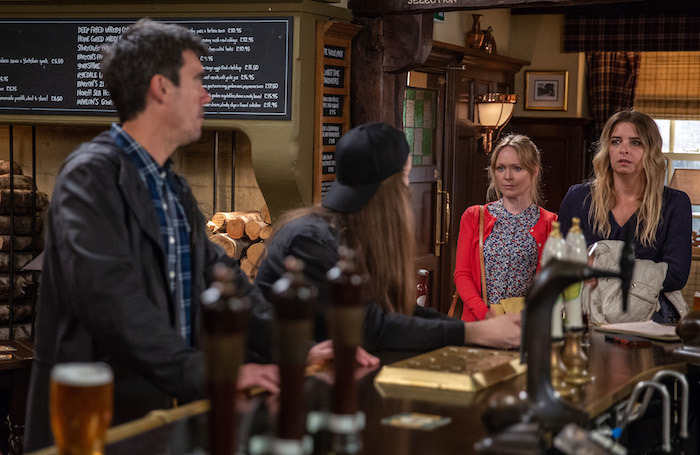 Thurs 30 Aug 2018 – 7pm: Charity Dingle walks into the Woolpack to find Ryan Stocks at the bar with Cain Dingle. 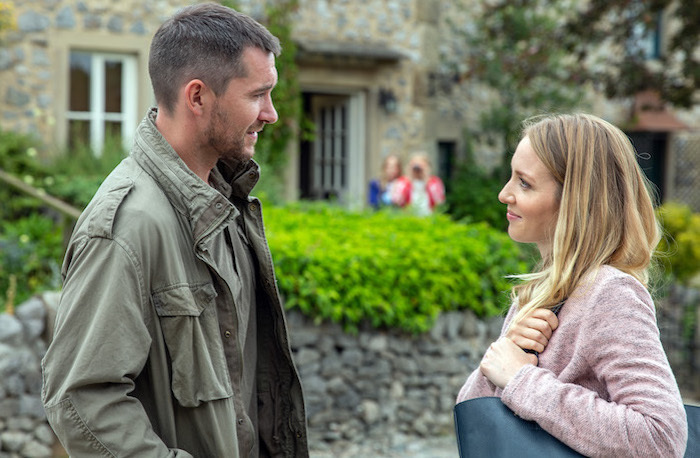 Thurs 30 Aug 2018 – 7pm: Charity Dingle has a choice will she tell her family about Ryan Stocks or will she continue to keep him a secret? 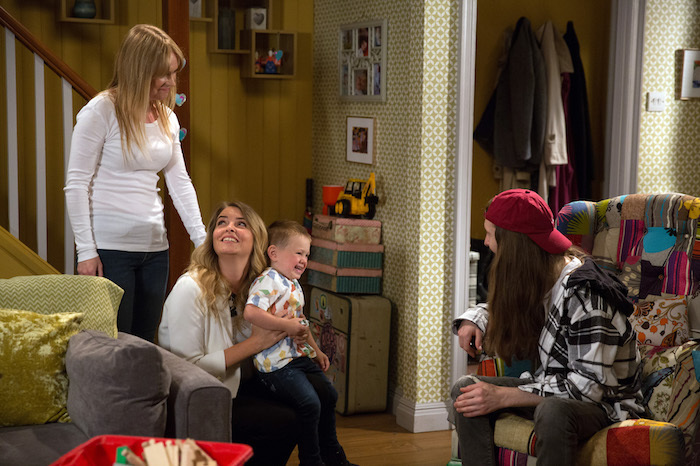 Thurs 30 Aug 2018 – 7pm: How will Charity Dingle’s decision affect her relationship with her son and her family? Thurs 30 Aug 2018 – 7pm: Daz Spencer is hurt when Bernice Blackstock says she can’t go with him to court. 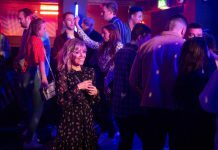 Thurs 30 Aug 2018 – 7pm: Is Bernice Blackstock losing interest in Daz Spencer given all his mistakes and dramas. 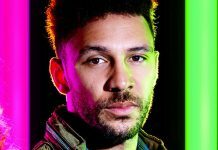 Thurs 30 Aug 2018 – 7pm: Will the outcome of Daz Spencer’s court case determine the state of his future relationship with Bernice? 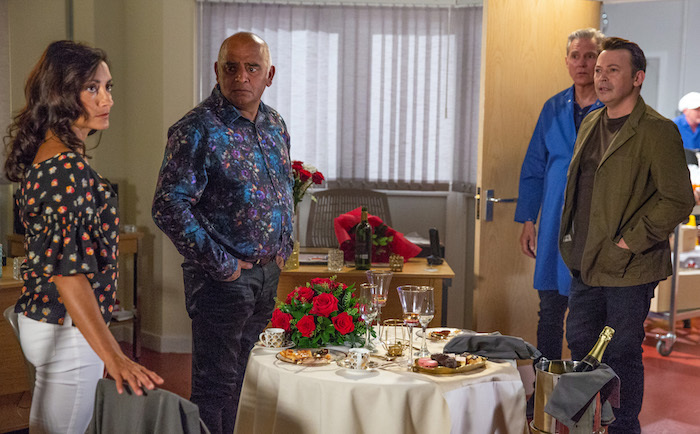 Thurs 30 Aug 2018 – 7pm: Jai Sharma tries to reassure Rishi Sharma ahead of his date with Manpreet. 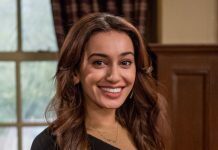 Thurs 30 Aug 2018 – 7pm: Will Rishi Sharma impress Manpreet with his ‘home cooked’ food? 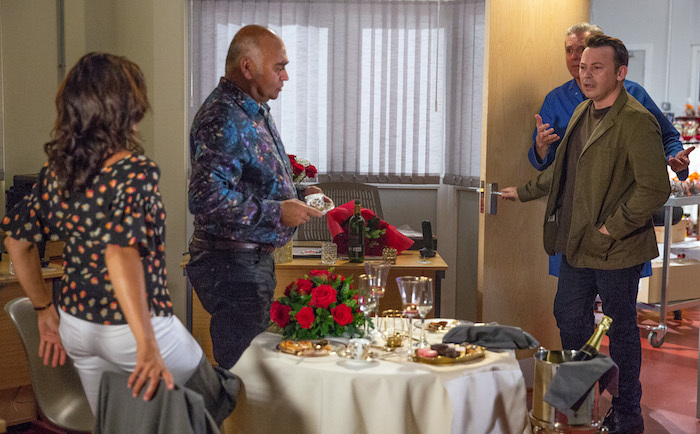 Thurs 30 Aug 2018 – 7pm: Rishi Sharma’s date doesn’t go well when an unexpected arrival ruins the mood. Thurs 30 Aug 2018 – 8pm: Bernice Blackstock is mortified when Daz Spencer gets a job as a clown and appears in his full outfit. 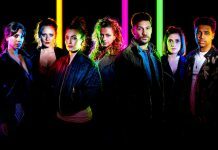 Thurs 30 Aug 2018 – 8pm: Could this be the end of the line for Bernice Blackstock and Daz Spencer’s relationship? 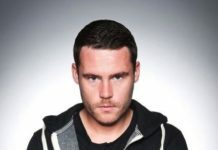 Thurs 30 Aug 2018 – 8pm: Joe Tate has extravagant plans to impress Debbie Dingle. 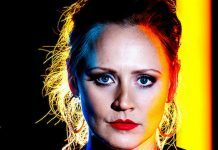 Thurs 30 Aug 2018 – 8pm: Will Sarah Sugden approve of Joe Tate’s plans for Debbie Dingle. Fri 31 Aug 2018: Doug Potts brings upsetting news to the Village. Fri 31 Aug 2018: Lachlan White is secretly horrified bu Doug Potts’ news. What will he do?